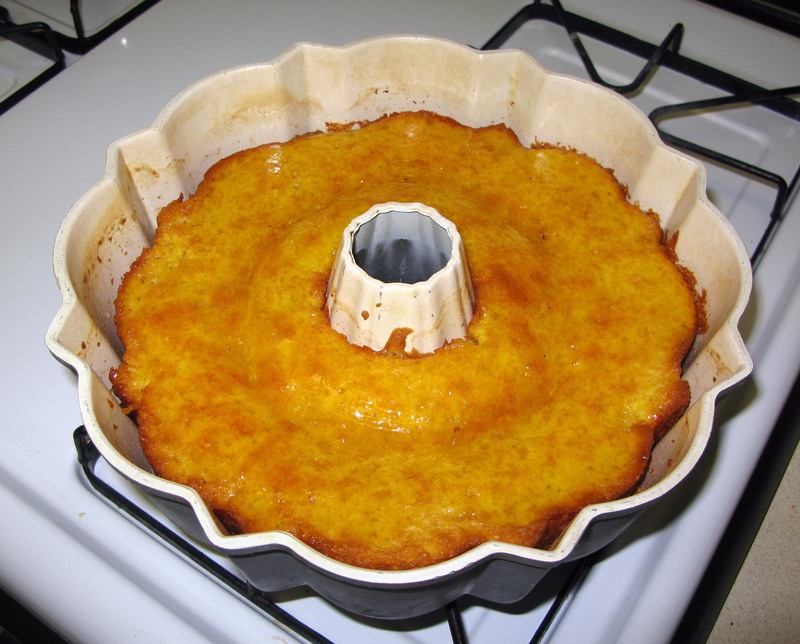 Lemon Juniper Bundt Cake | I Wanna Bake! 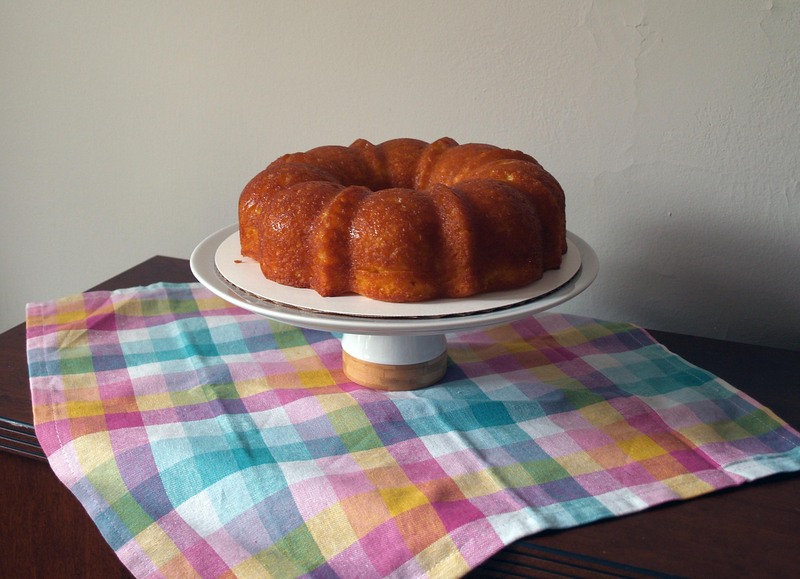 This cake is a spin on my very popular spiced rum cake. I decided to make this cake without the alcohol, which has failed in the past, but worked out ok this time. 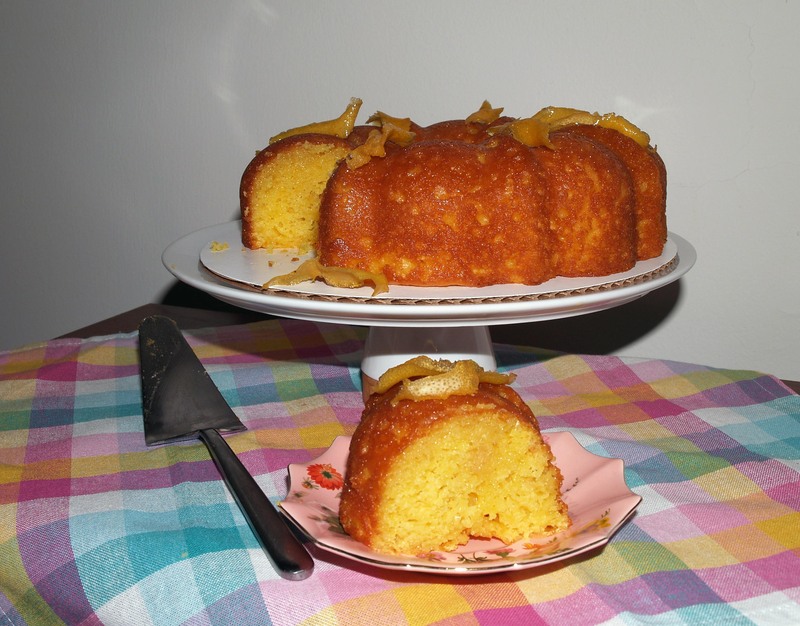 In place of the rum in the cake, I used fresh-squeezed lemon juice and added some grated lemon zest for good measure. The soaking syrup is normally made with sugar, water, butter, and rum, but I opted instead for a simple syrup infused with lemon and juniper berries (see more on making infused syrups here). I was inspired by the idea of a lemon drizzle cake, but was worried that it would look to plain, so I ended up with a Bundt cake instead. You might ask, “why juniper?” Fair question. I had one of my weird obsessive urges to try working with a particular ingredient recently, and this time that ingredient happened to be juniper. One of the only alcoholic beverages I’ve ever enjoyed was gin with ginger ale, which was described by a friend as “licking a Christmas tree.” I decided that I wanted to harness the piney flavor of juniper without the alcohol, so I went straight to the source: juniper berries. Juniper berries can be found in health food stores and somewhat fancier grocery stores. They’re unfortunately a little pricey, but you don’t need too much at a time. Some internet searching led me to decide that crushing them and infusing them in a syrup would be my best bet. I don’t have a mortar and pestle, so I just put them in a large bowl and crushed them as best I could with a smaller (but thick and heavy) bowl. It worked out ok, but I think next time I might try running them through the food processor briefly to release more of their oils. As it stands, the juniper flavor is very subtle in this recipe. I might have liked to taste it a little stronger, but I suspect that too much juniper would make the whole cake taste like floor cleaner. 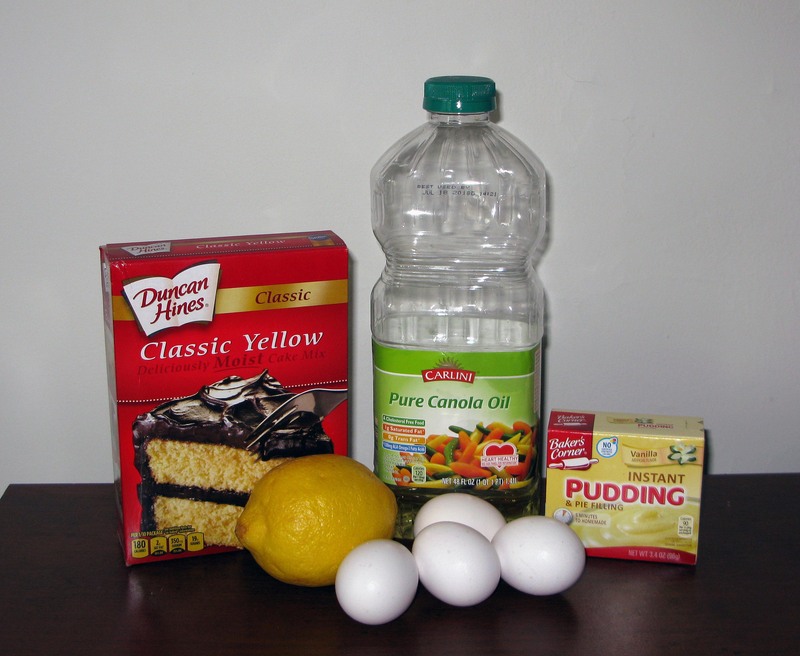 My original plan was to make a lemon confectioner’s sugar glaze to put on top of the cake after it had soaked in the syrup to make it prettier and add extra lemon flavor if I deemed it necessary. I’m glad I didn’t do this, because this cake is super sweet and ended up looking pretty enough as-is. I would actually recommend serving it with something tart to offset some of the sweetness (my husband loved it with sliced strawberries and I was partial to the pieces of lemon peel that came out of the syrup). If you have any fun ideas for dressing it up, please do share! Ask your mom for inspiration on this one! 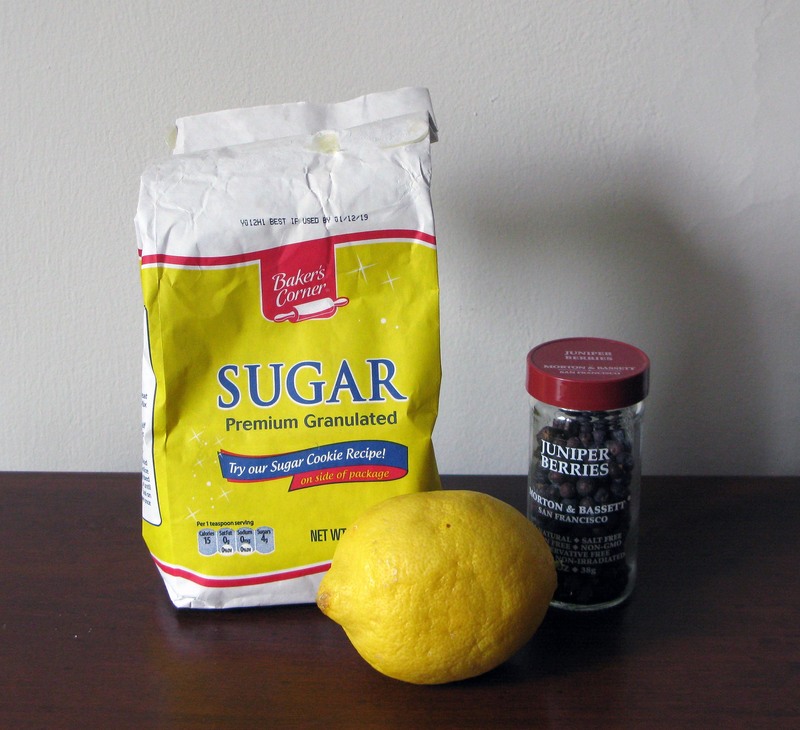 If possible, prepare the lemon juniper syrup the day before you bake the cake to give it time to infuse. 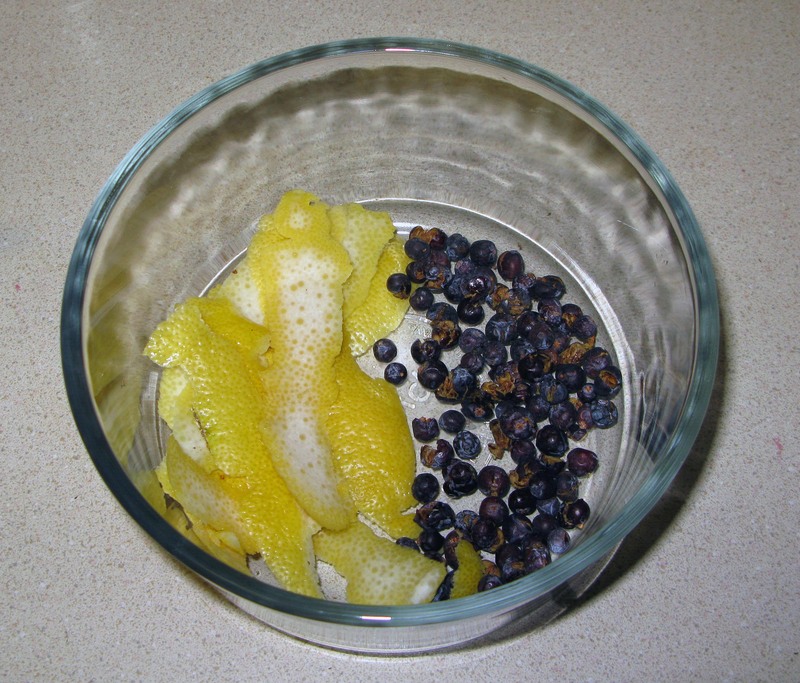 Crush your juniper berries with a mortar and pestle (or with a pot or heavy bowl like I did) and peel just the yellow part of the peel off a lemon (the white part, or pith, is bitter, so leave it behind). Toss the juniper berries and lemon peels together in the bottom of a heat-proof bowl and set aside. 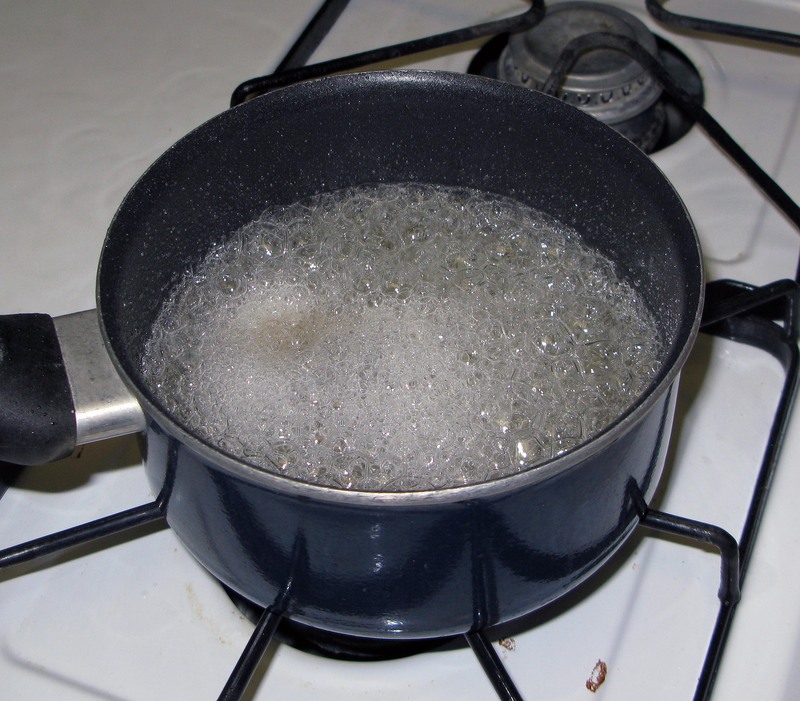 Whisk together the sugar and water in a small saucepan and bring to a boil on high heat. Reduce the heat to medium-high and continue to boil the syrup WITHOUT STIRRING for 5 minutes (stirring can lead to crystallization, which means grainy syrup). 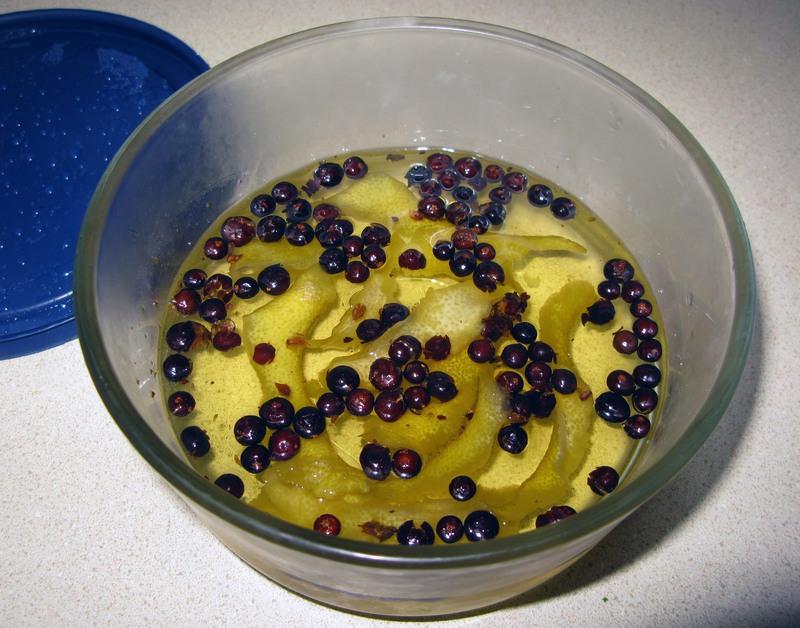 After your 5 minutes are up, immediately pour the hot syrup over the juniper berries and lemon peels. Leave the bowl to cool on the counter for an hour, then cover and refrigerate it for at least 8 hours, preferably overnight. The next day, bake the cake. Grease and flour a Bundt pan and set aside (I’m rather partial to this stuff, even though the smell makes me gag every time). Preheat your oven to 325°F. 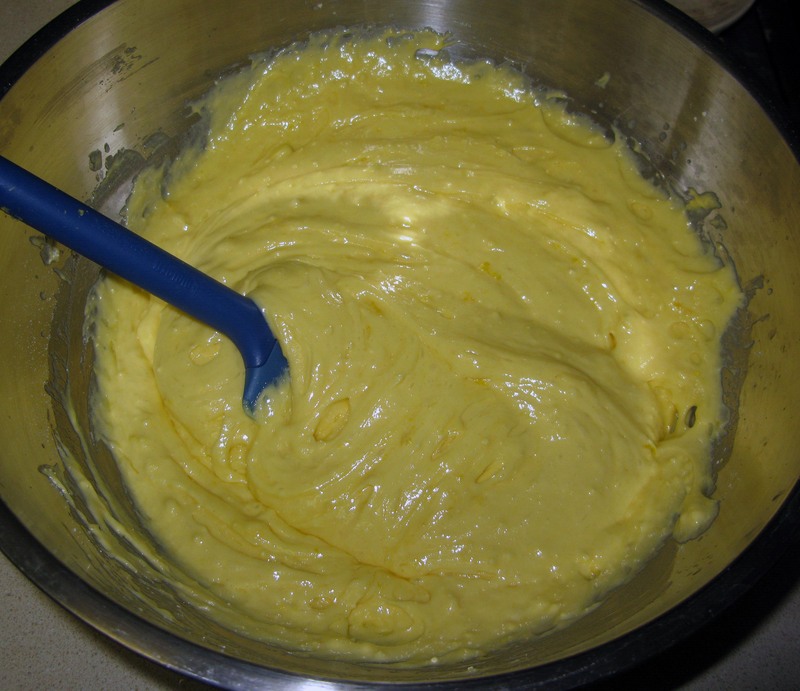 In a large bowl, beat together the cake mix, pudding mix, eggs, water, vegetable oil, and lemon juice on medium speed for 2 minutes, scraping down the sides of the bowl occasionally to make sure everything gets incorporated. 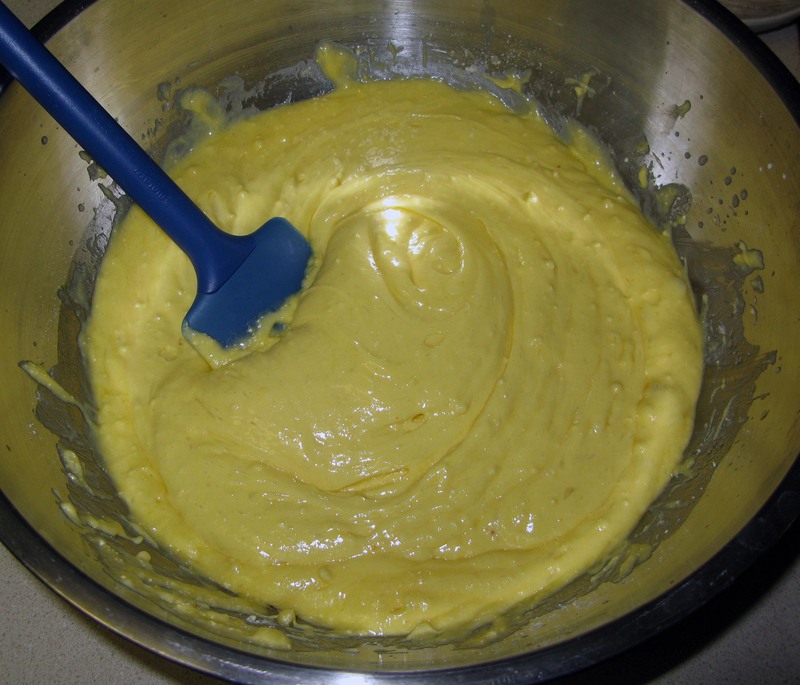 You will end up with a smooth, thick batter. 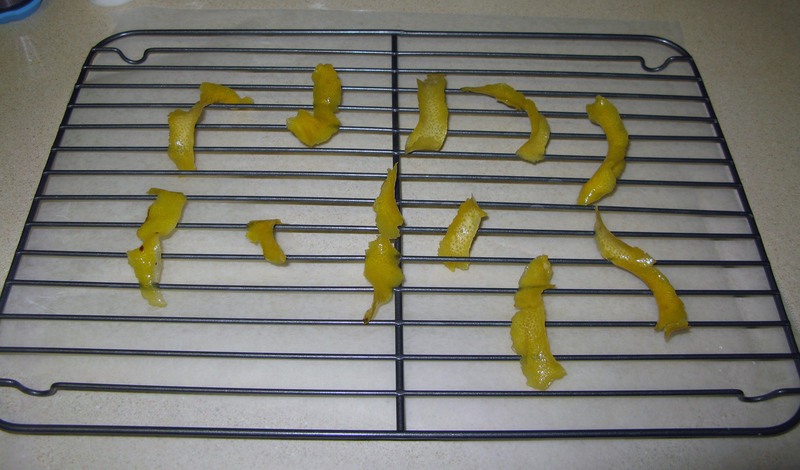 Fold in the grated lemon zest. 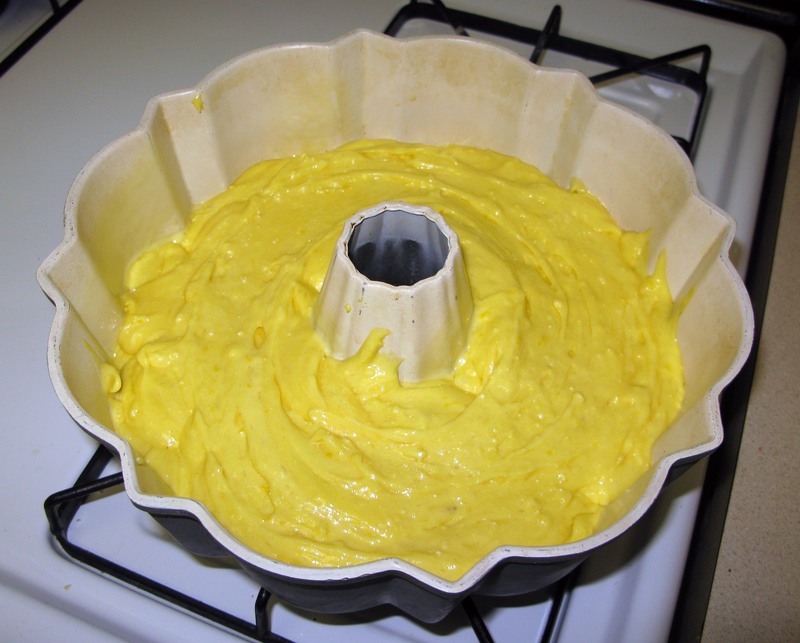 Scrape the cake batter into the prepared Bundt pan and shake the pan to evenly distribute the batter. Smooth the top with a spatula for good measure. Bake for 40-50 minutes, or until the top is golden brown and a toothpick inserted halfway between the center and the edge of the pan comes out clean. 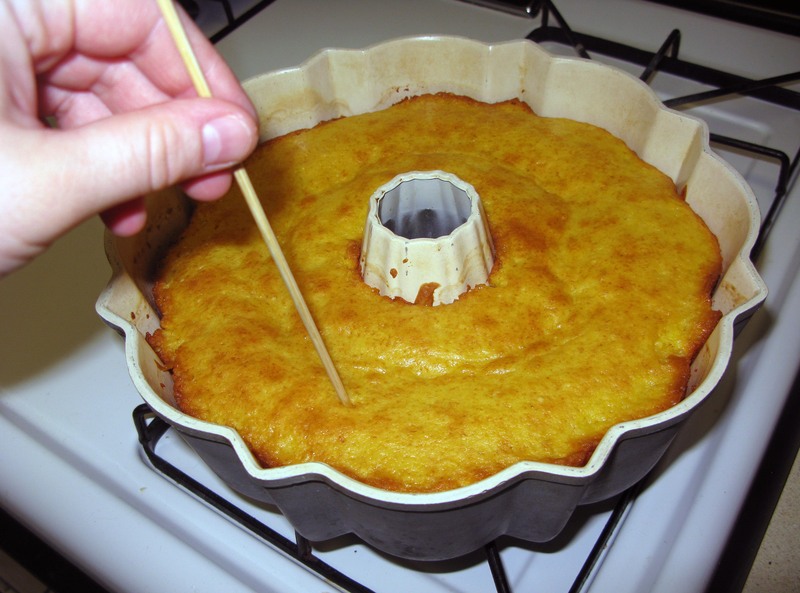 Once the cake is out of the oven, poke it all over with a skewer. This will help it to absorb all of the syrup. Remove the syrup from the fridge. It should look slightly yellowed, but not much different from when it went in. Strain out the juniper berries and lemon peels, setting the lemon peels out on a cooling rack to dry (they’re pretty much candied now, and they make a nice accompaniment to the finished cake). 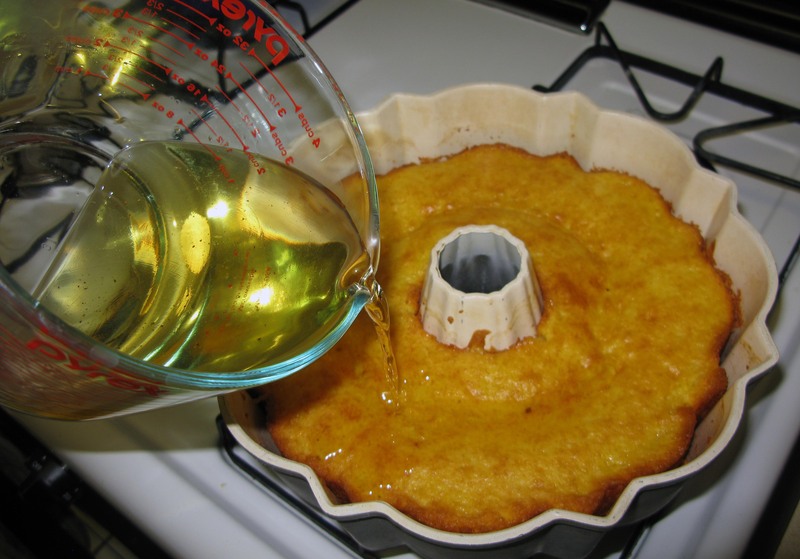 Reheat the syrup in the microwave or on the stove top until it is hot, but not boiling then pour it over the cake while both are still warm. Cover the cake and leave it to soak for at least one hour. The flavor will develop over time, so it’s best to let it sit like this overnight if you have the time. 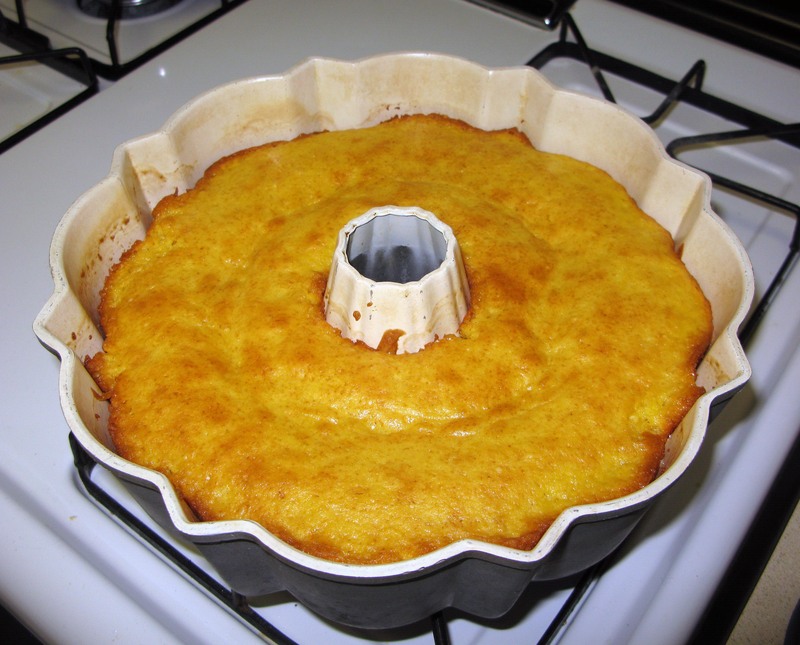 When you are ready to serve, place your serving plate upside down on top of the Bundt pan and carefully flip it over to invert the cake on top. You may need to shake the pan a little if the syrupy cake is sticking. It will come out, just be patient and careful. Garnish with the lemon peels saved from the syrup and serve. Add some sliced strawberries if you’d like some color and a little tartness (my husband’s preferred garnish).